A new technology promises to speed up slow Internet at home, say researchers, adding that the new hardware can enable speed up to 10,000 megabits-per-second (Mbps) or 10 gigabits-per-second (Gbps). 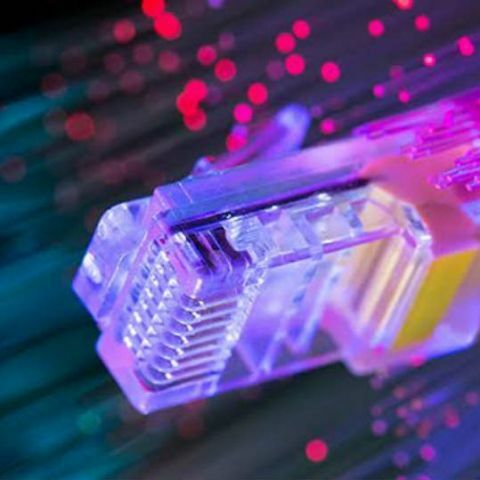 For a super-fast yet low-cost broadband connection at home in Britain, the new receiver technology can enable dedicated data rates at more than 10,000 Mbps from the current 36 Mbps, noted researchers from the University College London. "Although 300 Mb/s may be available to some, average UK speeds are currently 36 Mb/s. By 2025, average speeds over 100 times faster will be required to meet increased demands for bandwidth-hungry applications such as ultra-high definition video, online gaming and the Internet of Things (IoT)," explained lead researcher Sezer Erkilinc. "The future growth in the number of mobile devices, coupled with the promise of 5G to enable new services via smart devices, means we are likely to experience bandwidth restrictions; our new optical receiver technology will help combat this problem," he added in a paper published in the journal Nature Communications. The receiver is used in optical access networks - the links connecting Internet subscribers to their service providers. The new receiver retains many of the advantages of coherent receivers but is simpler, cheaper and smaller - requiring just a quarter of the detectors used in conventional receivers. Simplification was achieved by adopting a coding technique to fibre access networks that was originally designed to prevent signal fading in wireless communications. This approach has the additional cost-saving benefit of using the same optical fibre for both upstream and downstream data. "This simple receiver offers users a dedicated wavelength, so user speeds stay constant no matter how many users are online at once. It can co-exist with the current network infrastructure," said Erkilinc. The receiver was tested on a dark fibre network installed between Telehouse (east London), UCL (central London) and Powergate (west London). The team successfully sent data over 37.6 km and 108 km to eight users who were able to download or upload at a speed of at least 10 Gbps.